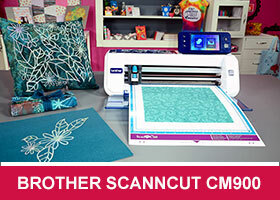 Echidna Sewing is proud to be the exclusive Australian supplier of the feature packed Brother NV950 combination sewing and embroidery machine. It is, in our opinion, the perfect machine for not only beginner sewers but for anyone looking to get more out of their sewing experience. 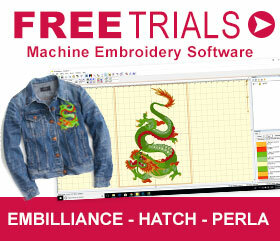 The NV950 machine offers modern computerised features, including a fully automated embroidery system. Imagine that once you’ve mastered the art of sewing you now have the option to add unique, creative embroidery designs to your garments. Decorate things like baby clothes, uniforms, even home furnishings. These can all be professionally embellished to add a special touch to your home décor. The NV950 is also our preferred machine for placement into school home economics rooms, which is one of the more demanding environments for any technology item. This is a perfect example of enabling children with the right tools, giving them a pleasant experience and allowing them to find an enjoyable hobby that they will want to continue throughout their lifetime. Plus, the Brother NV950 is up to the task. In fact, it’s almost bullet proof and so easy to use! It’s a machine that will give you many years of enhanced performance and at the same time add a fun, creative element to your sewing. It comes with a number of top of the range features, including the advance automatic needle threader, jam proof QuickSet™ bobbin, automatic thread trimming and easy USB operation. With built-in help menus and dozens of online video tutorials, you’ll be up and running in the blink of an eye. For these reasons alone, we are committed to the belief that the Brother NV950 Sewing and Embroidery machine is the perfect machine for those learning to sew. Don’t waste time searching online for the cheapest machine because that doesn’t always equate to the best option in the long run. 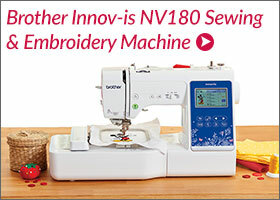 With a machine like the NV950 you will have the greatest opportunity to make sewing a lifetime hobby that we know you will enjoy. With a number of different price points and interest free terms available, it’s even more affordable than you think! Plus, sewing as a hobby can save you an enormous amount of money as you will be able to create your own garments, quilts, gifts, apparel items, company uniforms and much more! Not to mention the lifetime savings of being able to alter and mend virtually any item. Even re-purpose old clothing or home furnishings, giving them a new lease on life. As one of the leading Brother Sewing and Embroidery machine dealers, we are always willing and able to assist you with any sewing or embroidery related questions or concerns. Our team is expert at assisting customers both in-store and remotely via phone on 1800 000 360 or online at www.echidnaclub.com.au with those everyday challenges that sewing can sometimes present. Often a two minute conversation can save you hours of frustration. What NV950 packages are available?